Going for gold: Mayo's Matthew McNieve will be the youngest member of team Ireland at the European Transplant and Dialysis games. Photo: Conor McCabe Photography. 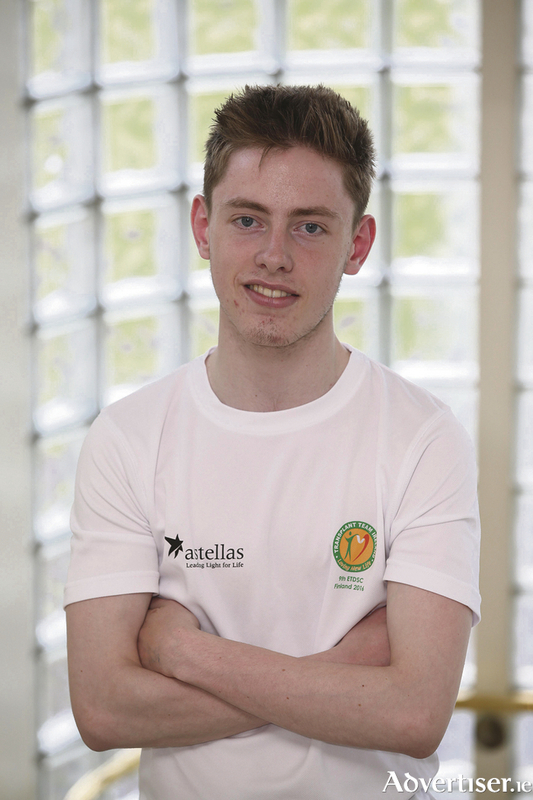 A 18-year-old Knock man will the youngest member of the Irish team that will compete in the European Transplant and Dialysis Sports Championships, which takes place in Vantaa, Finland, from July 10 to 17. Matthew McNieve is a kidney transplant recipient and he is the youngest member of the Irish team. He will take part in the 18 to 29 years of age category in the 100m, 4x100m relay, badminton (singles ), table tennis (singles and doubles ) and ten pin bowling (singles ) in the championship. Matthew recently turned 18 and lives at home near Knock with his mother Bernadette and his two brothers, including his twin Michael and his older brother James. He has an older sister Fiona who is married and lives in Dublin. Matthew's aunt Noreen Furlong (Bernadette's sister ) who lives in Drumcondra will travel with him to the championships in Finland. He will be going into Leaving Cert year this September and hopes to do a course in either dentistry or health informatics. Matthew does not allow his illness to define him and takes part in many sports, winning numerous accolades for his sporting prowess, including two All Ireland medals for table tennis. He also holds down a part time job in the office in Knock Shrine. Speaking about the upcoming championships, Matthew said, "This will be my first time competing in the games and I am really looking forward to this opportunity. I am looking forward to competing at the games and I am excited to see the standard of the competition. I also am really looking forward to visiting Finland. A gold medal would be nice also." The European Transplant and Dialysis Games will involve close to 500 participants from 25 countries throughout Europe. Every athlete at the games will either have already received a kidney, liver, heart, lung, pancreas or bone marrow transplant or are on dialysis. For an organ donor card Freetext the word DONOR to 50050 or visit website www.ika.ie It is also possible to download an organ donor card on smartphones by searching for ‘Donor ECard’ at the iPhone store or Android market.